Valentine’s Day is just around the corner. While it may not be for everyone, there’s no doubt about it a little bit of romance goes a long way… on February 14th, or any day of the year! These DIY unique Valentine’s Day gifts you can make at home are perfect if you or your partner are romantics a heart. Nothing says ‘Be My Valentine’ like a handmade gift. For the love who loves to be organised, how about a kitchen chalkboard made from a clipboard. This is a super quick and easy craft project that is inexpensive to create and has a great functional purpose. You could even clip cute love notes to it each day as an ongoing sign of your affection. The perfect gift idea for the love who loves to cook. Simple and stylish, they even look good just on display so it’s a bonus they are functional too. Fingers crossed you may already know someone who owns an etching tool so you don’t have to buy one, however they are very inexpensive to purchase and having your own etching tool means you can create loads more fun projects and DIY gifts like this in future too. These wooden kitchen utensils are a perfect choice. 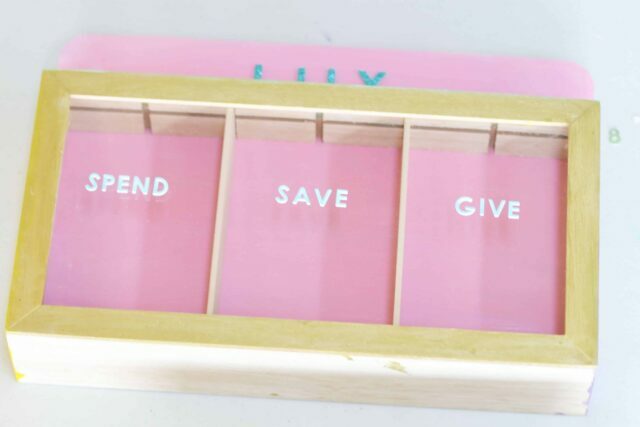 This money box tutorial may not be screaming Valentine’s Day gift as it is… however put your creative hat on, and consider what romantic uses you could put a divided moneybox to. Instead of spend, save, give… change the headings to ‘date night’, ‘holiday fund’, ‘dining out’ and anything else you can think of saving your money towards as a couple! Each week add all your lose change or just the silver coins into the different sections and start saving for some romantic goals together. For the fun at heart, there are loads of lawn game tutorials for you to make at home, and this giant lawn Dominos is one of my favourites. Nothing quite compares to the gift of ongoing fun, although maybe let your love win at least one game on Valentine’s Day! The best thing about this is that it’s also a great option if you have kids, as the whole family can join the fun! The best thing about this project is the fact that no only are you making a super cool gift for your Valentine, but also doing some pretty impressive upcyling too. 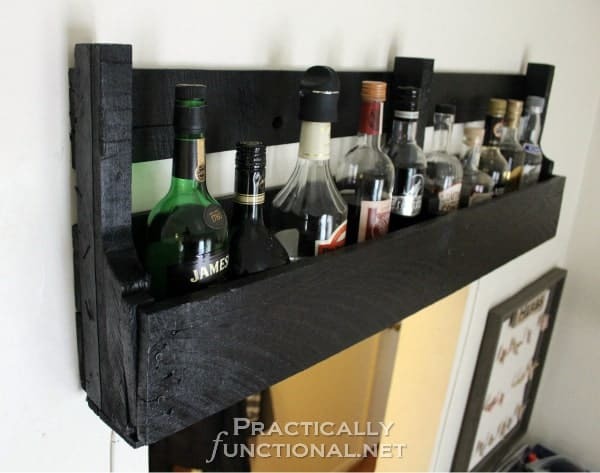 This is a pretty simple project using an old wooden pallet and it would look great on the wall near a home bar or even in the lounge room with some ornaments set up, depending on who your Valentine recipient is. 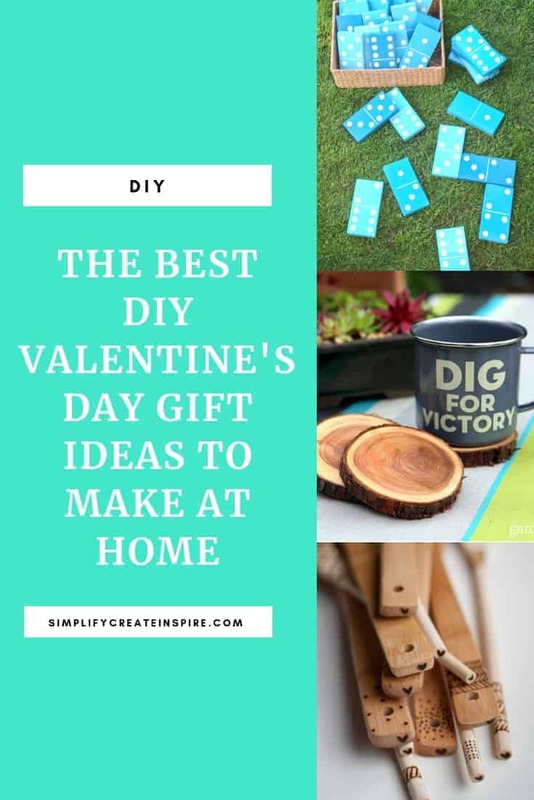 This super cute idea is not only completely inexpensive to put together as a quick DIY Valentine’s Day gift idea, but it means you get to extend the romance well beyond the 14th of February! Check out the free printables to make your work even easier! 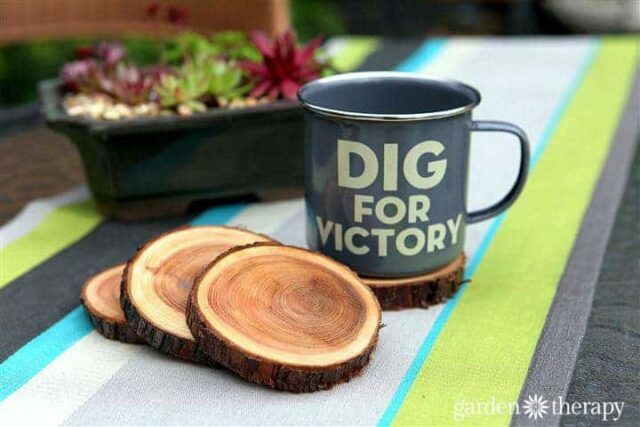 These handmade wood coasters would look great in a bar or out on the back patio. Very cool if you’re feeling handy with some power tools like the great range from Ryobi! This would be a very quick and easy project to make! 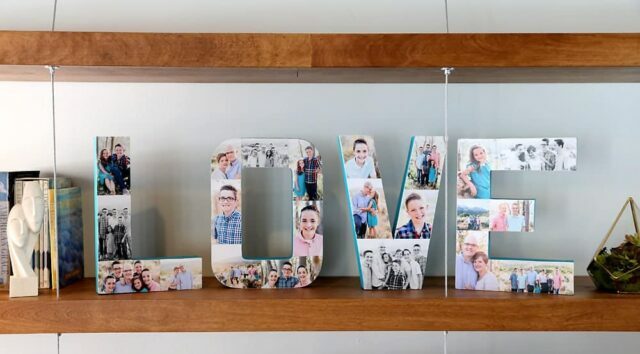 There is nothing more sentimental than a DIY project featuring some of your favourite photos together. This handmade Valentine’s day gift would look great on display and be one to cherish for many years to come. What a sweet idea, and especially great if you are on a super low budget for Valentines Day. Plus this is another great gift idea that keeps on giving well after the Valentine’s celebration has ended. 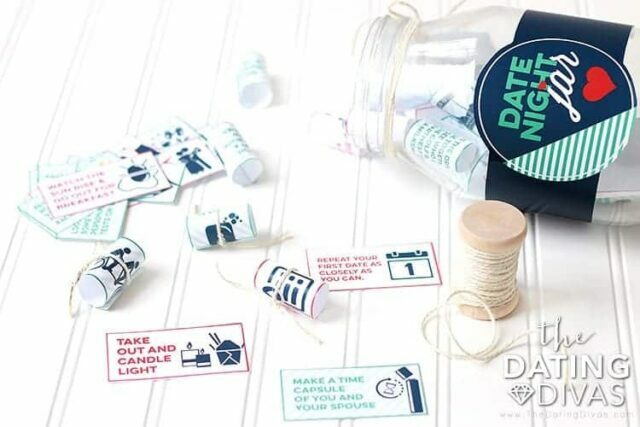 This idea is somewhat a mix between the date jar and the open when envelopes. 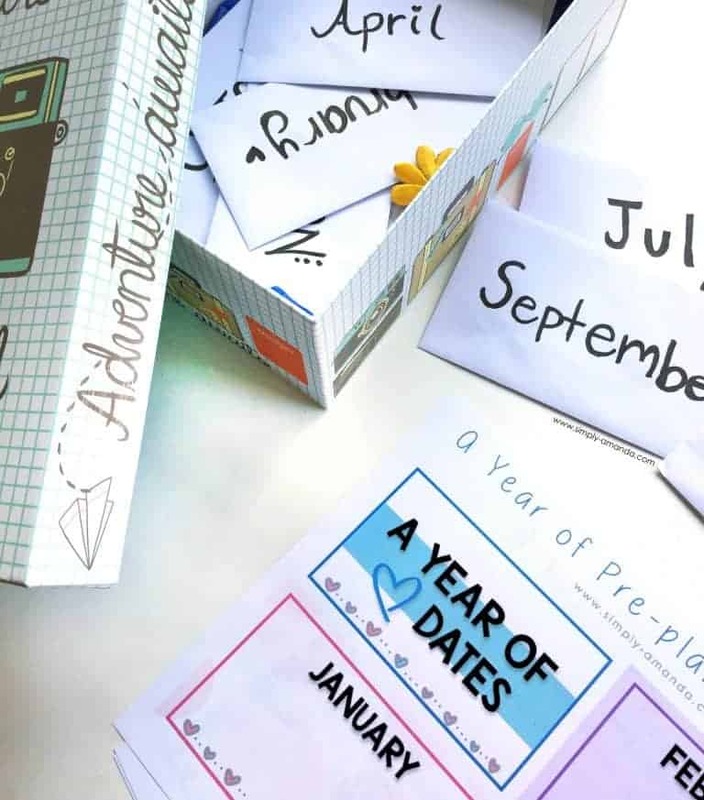 You can plan a whole year of dates for your partner, putting details of each different month’s date into the box for them to be surprised by when the time arrives. This is such a romantic idea and perfect for a handmade anniversary gift too! 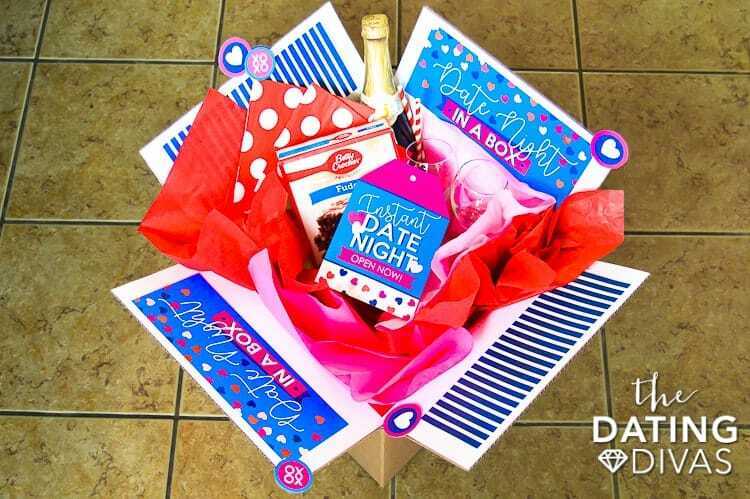 That crazy rush of couples at every restaurant and attraction on 14th of February can be a little bit of a romance killer… so why not plan a perfect date night in with a box full of snacks, drinks and entertainment for home. This is such a cute idea for any special occasion, and you could even do a similar thing for family nights in. 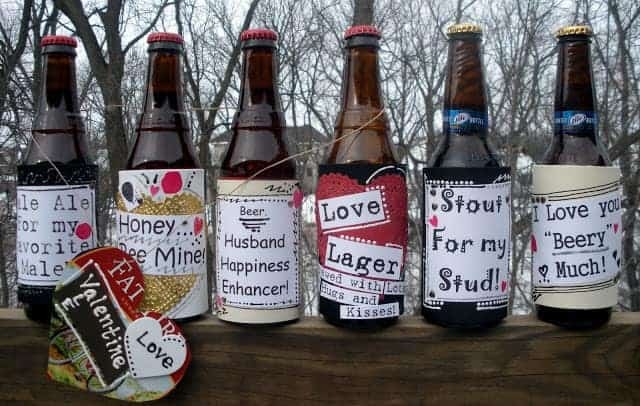 Make your own personalised beer labels full of messages of love. You can do a similar thing for wine bottles, or any drink of choice really… even if that happens to be kombucha or cola! If you are looking for one of the most simple ideas ever and most affordable, a dry erase note board is so simple! You just need to print out your message background, pop it in a frame and grab a whiteboard market, and you’re done! I really love this one for all special occasions. A nice reminder to leave each other special love notes any day of the year, not just on Valentines Day. 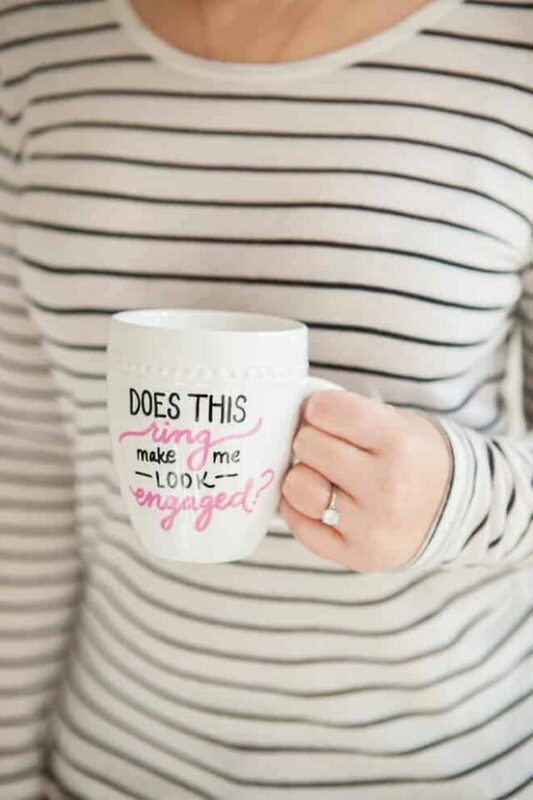 Imagine a daily reminder of you when your love goes to have their morning coffee. You can make the message something funny and romantic that relates to your relationship, or go for a more generic Happy Valentine’s Day message. 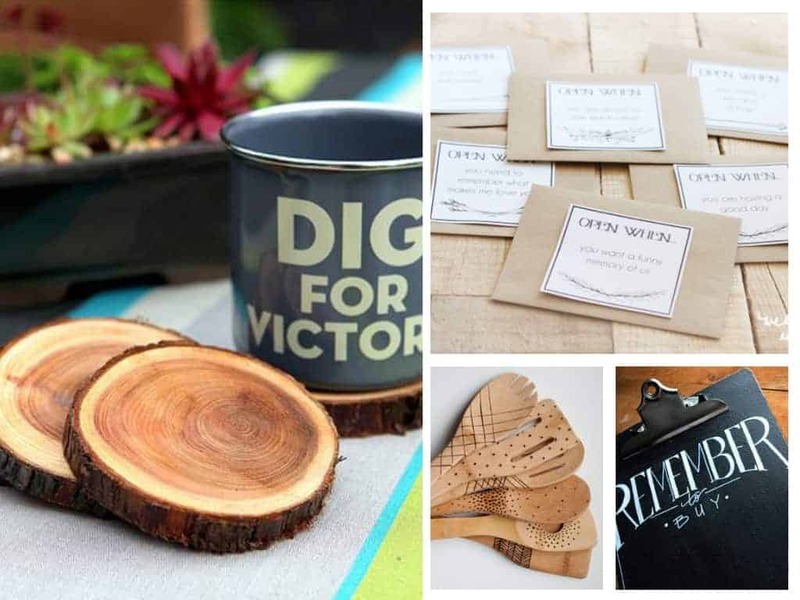 So there you have it… some awesomely romantic DIY Valentine gift ideas for you to make for your love. Keep it sweet and simple instead of worrying about the expensive event it is marketed as. Afterall, there should be a little bit of romance in your lives all year round and not just on that one day a year! If you’re looking for cheap or free date ideas, check out my list of 101 budget date ideas as well! Some great ideas! 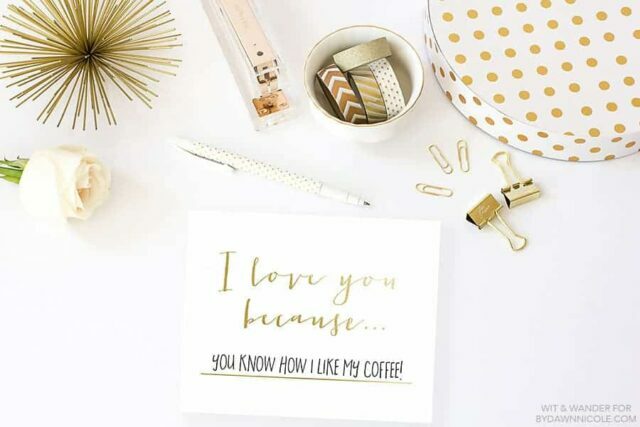 I’m really liking the wooden photo LOVE letters & the cards with 52 things I love about you. Nice ideas 🙂 I’m the worst at thinking of presents to get my hubby! With a new bub, money is tight so making something thoughtful is a good idea! And no doubt he will love it even more since it’s handmade 🙂 congrats on the new bub. Thanks holly, for giving gifting ideas, keep blogging and keep smiling. Whew, coming up with a whole year of dates would be quite a challenge! So many good ideas here. Thanks for sharing these! Great list! I love that message board. I have been wanting something like this for my kitchen. Thank you for sharing with us at Merry Monday!! Thanks Amanda. It’s great, hey? Love it! I love those etched utensils. Those are absolutely adorable! Great post. Thanks for sharing. They look very funky! Thanks for popping over.